Documents outreach efforts to donors and community members in areas of Sonoma County where the foundation previously had less presence. 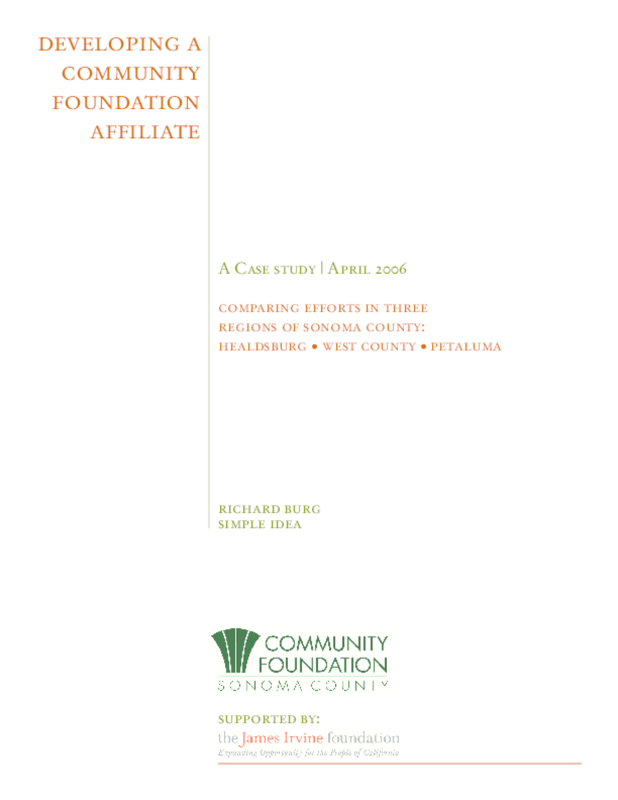 Describes an approach that resulted in the establishment of affiliate funds in Healdsburg, Petaluma, and West County. Copyright 2006 Community Foundation Sonoma County.